Happy Halloween! - Photo Shoot! 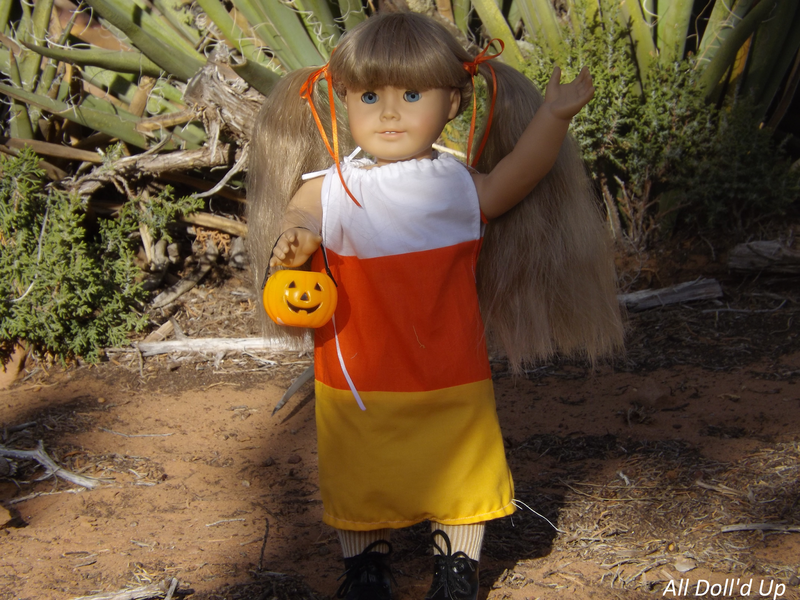 First up we have Kirsten in her sweet little candy corn costume! Doesn't she look cute in her pony tails? Next we have Emily in her Batgirl costume! I have wanted to make a Batgirl costume forever, so I'm really happy I had time to make one this year! Here's Maryellen in her Minnie Mouse costume! I actually made her dress back in April to wear to The Beauty and the Beast Ballet. Well there you have it! I hope you all have a fun and safe day! Thank you for your awesomeness! Ahh, Happy Halloween! Your dolls look adorable!! Happy Halloween! Thank you so much! Haha! Donut Thief! Great costume Molly. I also totally love Emily's batgirl costume. Happy Taco Tuesday! LOL! That was funny, Katie. And... (In spirit of the movie, and since it is on the same day) don't forget to wish a happy Freedom Friday! (But STILL ON A TUESDAY!) I LOVE Lego movie quotes!!!! Great job on the costumes, Katie. Haha thank you! Woo Hoo! Happy Taco Tuesday! LOL I couldn't help myself on that one XD Oh my goodness I totally forgot! thank you for reminding me! Happy Freedom Friday! (But STILL ON A TUESDAY!) LOL XD Me too! I literally quote the movies all the time. Thank you so much Jewel! Awww, love it! How did you make Kirsten's costume? Is it a pillowcase dress? Thank you! Yes it is! I made it by sewing different colored rectangles together then sewing the pieces into a pillowcase dress. Me too! I quote the lego movies a lot! My Mom will say: "Huh?" and I'll respond that I, "Was quoting the Lego Batman Movie." etc. We actually had tacos for dinner yesterday! How crazy is that! Yes! Me too! LOL that happens to me all the time! My sister has only seen the Lego movies a couple of times so I'll be looking for something and find it and say " AH THE KRAGLE HAHAHA! and she'll be like "Uh ok?". I'm just like "It's from the Lego movie, I'm not crazy I promise" XD Oh my gosh really? that is crazy! 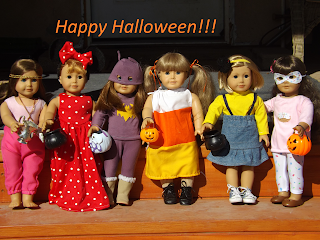 Oh my goodness, all your dolls' costumes look AMAZING! You did such a great job!